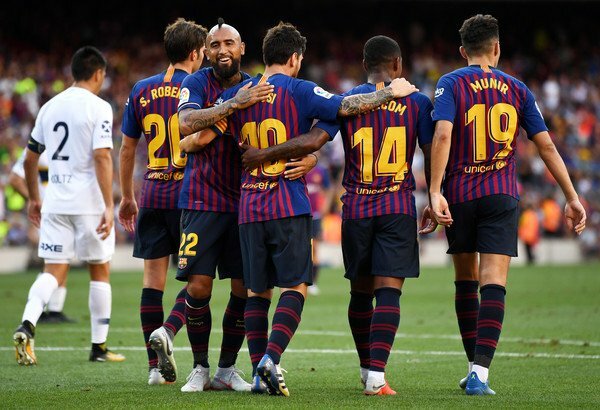 Griezmann to Barcelona rumours have resurfaced but one of his countryman has advised him against moving clubs and staying loyal to the Rojiblancos. Generally while on National duty, players try to convince their teammates to join their club sides. 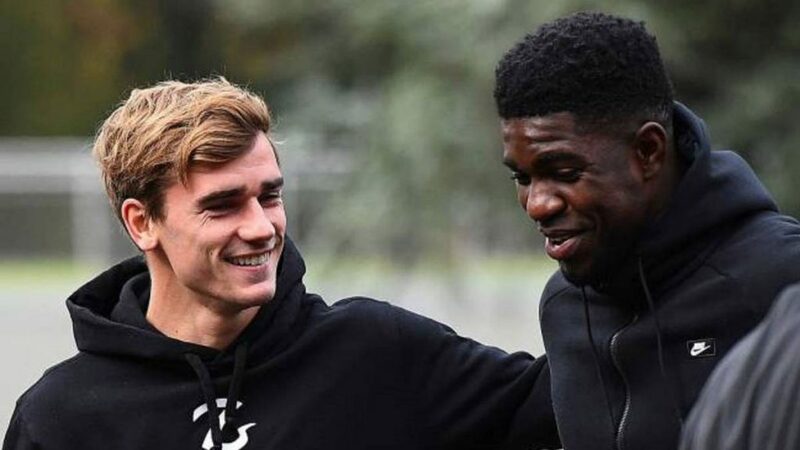 But Samuel Umtiti has suggested his friend, Antoine Griezmann, to stay at Atletico Madrid. Griezmann has been rumoured to the Catalan club for a while now but the French defender feels that Madrid is the right place for the attacker. He has even suggested that the former Real Sociedad man would regret leaving the Rojiblancos. Umtiti is currently with the Les Bleus for France’s Euro 2020 qualifying campaign. It began with Griezmann getting on the score-sheet in a 4-1 victory over Moldova. But the centre-back has sensed no signs that Griezmann is unsettled with his current club. 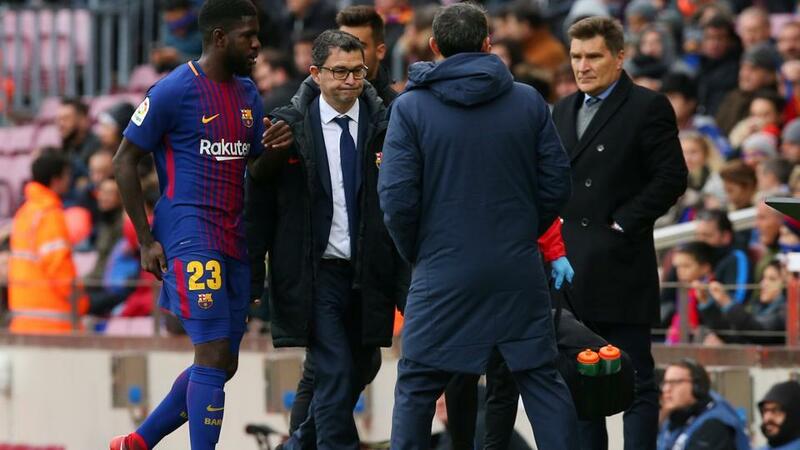 Umtiti himself hasn’t had the best time after returning victorious from Russia. The defender has spent a considerable amount of time on the sidelines due to injuries. His problematic knee was an isuue before the World Cup but he admits to have played through the pain barrier. The 25-year-old now admits he took a major risk playing with the fitness issue. However, he feels justified in his decision, despite the problems which have followed. Samuel Umtiti makes a very valid point. Griezmann could be the main man at Atletico Madrid, unlike in Barcelona where Messi is the the messiah. By exhibiting loyalty to Los Colchoneros, he would become a cult figure in Madrid. But at 28, this would be the last opportunity for a big move for Griezmann unless he can maintain the levels of consistency. Griezmann’s urge to move, if there is any, can be understood. United star’s potential blockbuster transfer needs this man’s approval!